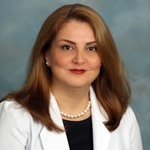 Dr. Maryam Haeri received her undergraduate degree from the University of Maryland. After graduating, she attended Howard University School of Dentistry where she completed her Doctor of Dental Surgery (DDS) degree in 2002. Dr. Haeri has been practicing dentistry for the last fifteen years in Maryland, Virginia and mainly in Washington, DC. Dr. Haeri is a member of the American Dental Association and the D.C. Dental Society. She received the Top Dentist Award in 2014 and 2015. When not providing gentle and compassionate dentistry to her patients, Dr. Haeri enjoys swimming, reading and walking.